Open5GCore Rel. 4 implements the essential features necessary for the end-to-end 5G system deployment and evaluation. Open5GCore Rel. 4 includes a set of new components addressing 5G Standalone Core Network which were developed separately from the previous EPC components. 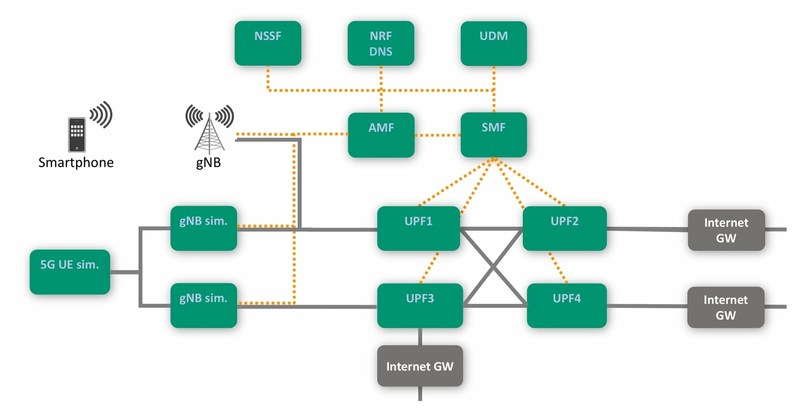 Through this, a genuine 5G core network can be used as parts of the testbeds. First implementation of Service based Architecture features [HTTP/2, OpenAPI, REST] applied for a basic implementation of UDM and NRF.